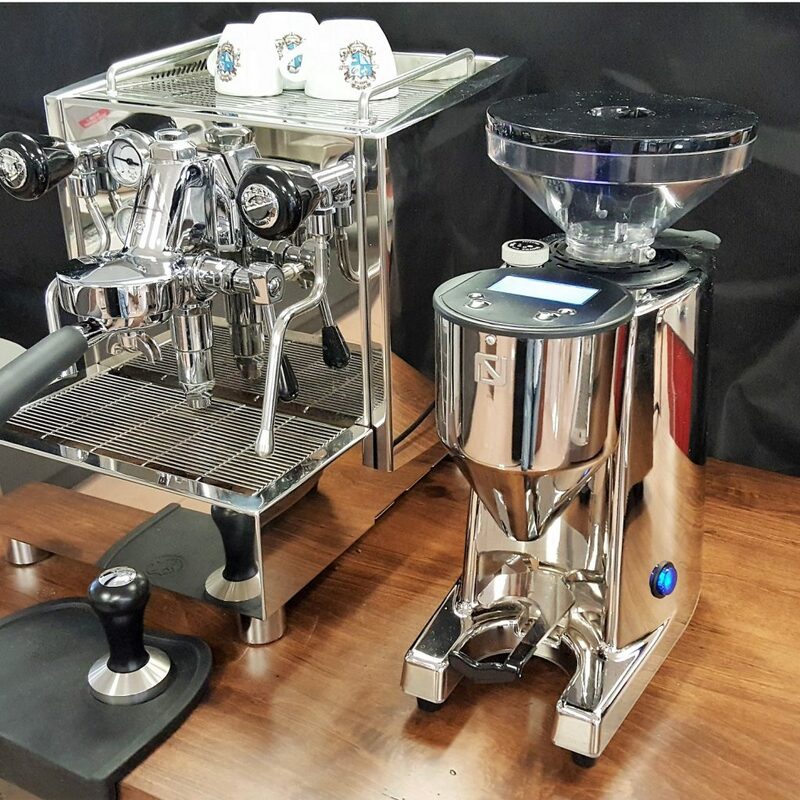 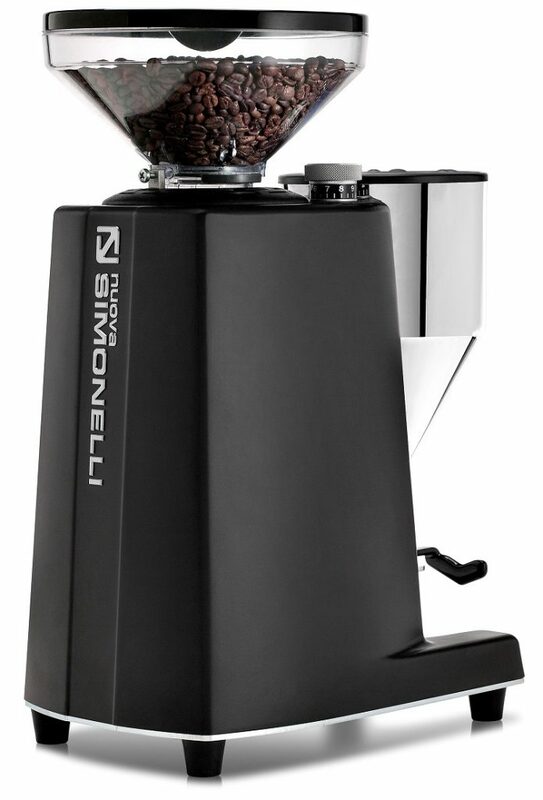 Nuova Simonelli G60 is a compact but fully commercial-grade on-demand grinder for home, office or light commercial use, available in 2 finishes. 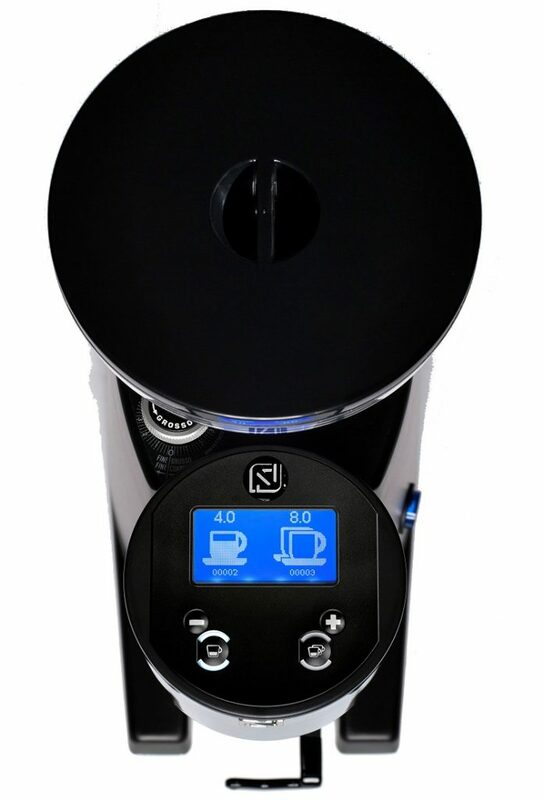 Its programmable dose settings (for a single or double shot) are easily adjusted “on the fly” and the controller tracks all your usage (number of singles and doubles, ans well as total continuous grinding time) like the odometer on a car. G60’s doser-less design allows you to grind coffee directly into your portafilter in a near-perfect cone, reducing spillage and minimizing the amount of coffee grounds left-over between shots. 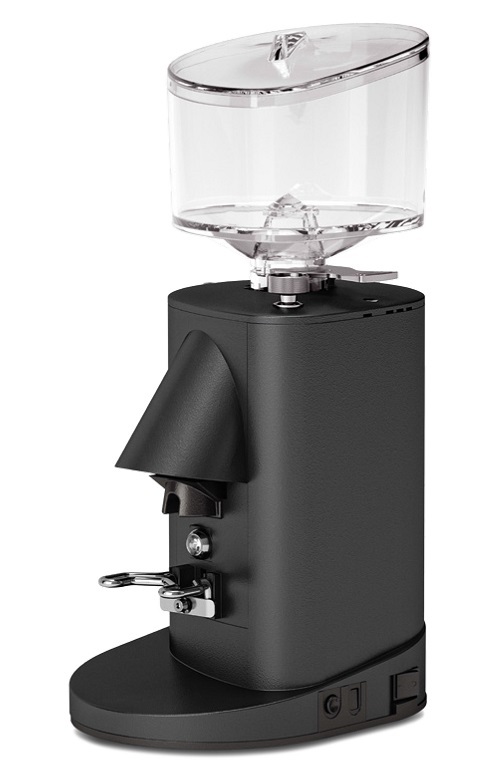 A powerful commercial motor, large 60mm burrs, micrometric grind adjustments (to dial in that perfect grind), and commercial-style hopper complete the package. 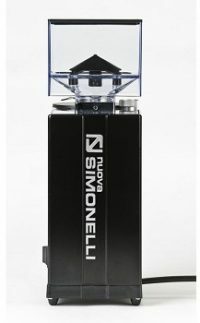 Nuova Simonelli MDH is built on the MCI platform but with a sound-dampening design, and is available in either a black, white or red finish. 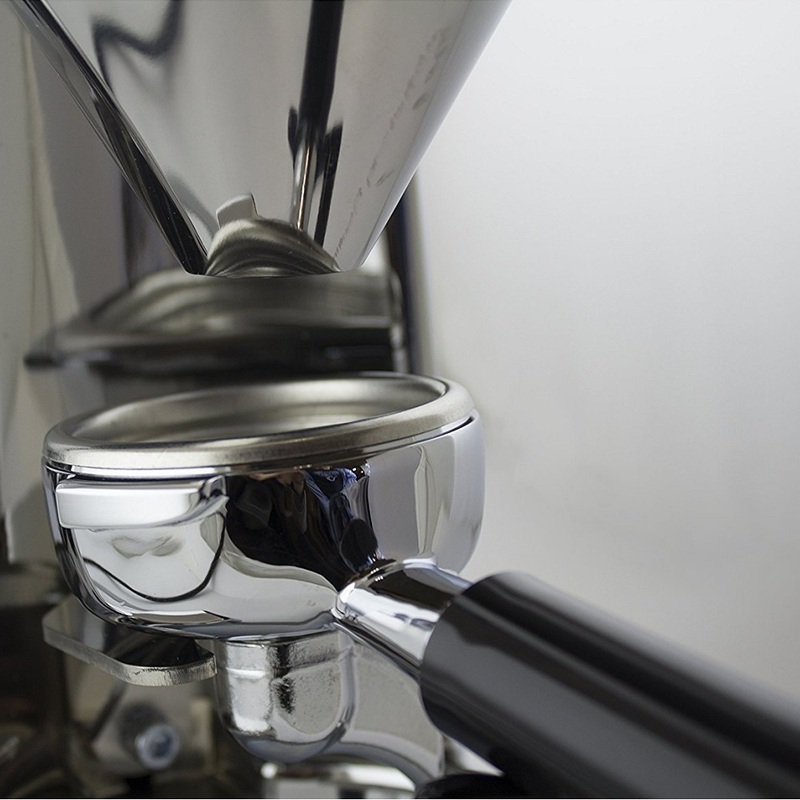 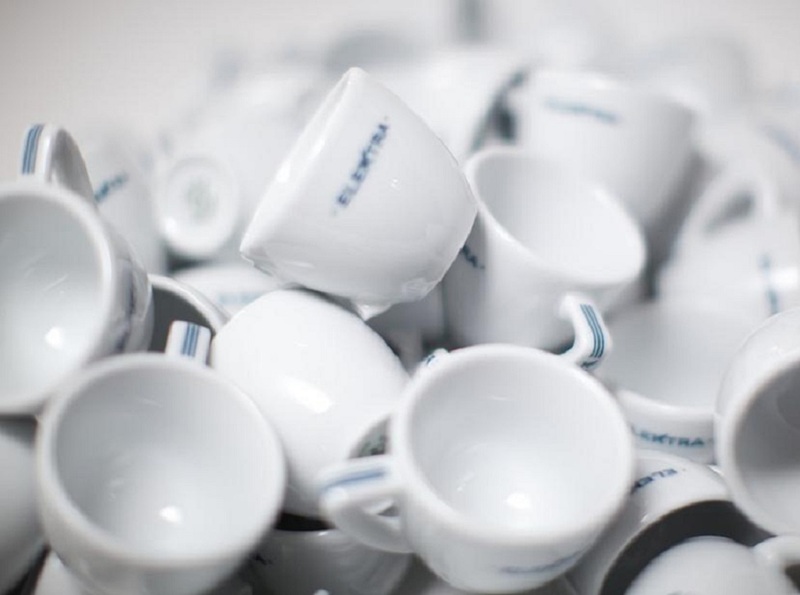 Being doser-less, MDH allows you to grind coffee directly into your portafilter, but in a lighter more accurate cone, reducing spillage and minimizing the amount of coffee grounds left-over between shots. 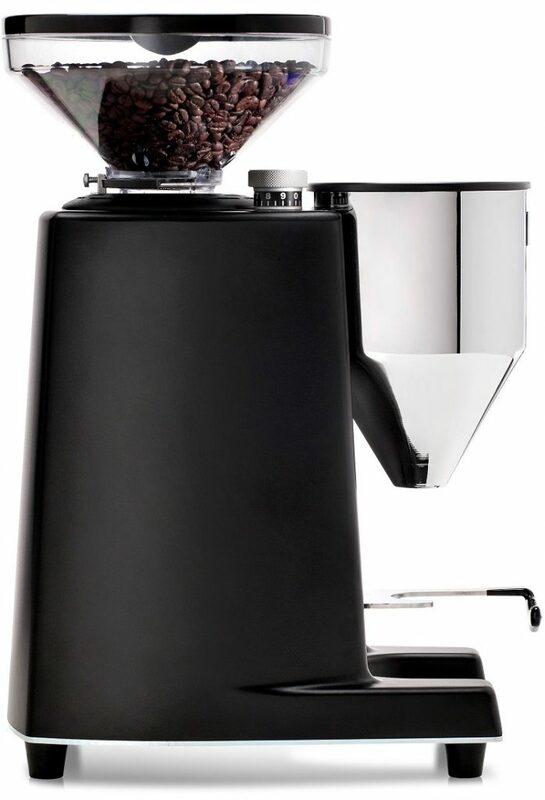 Though compact (only 15” tall) it is heavier than most, and features a powerful motor, large 50mm burrs, and a micrometric grind adjustment to dial in the perfect grind setting. 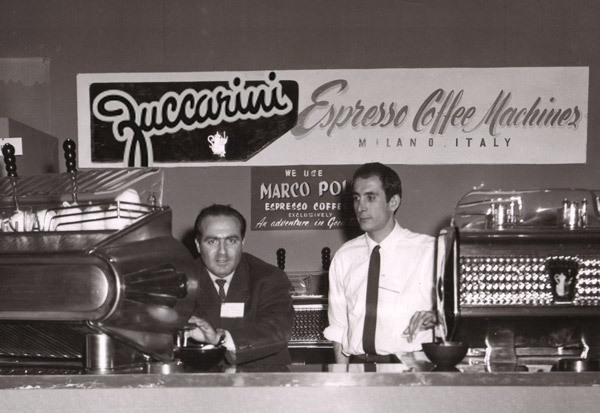 Nuova Simonelli MCI is available in either a matte black or a chrome finish. 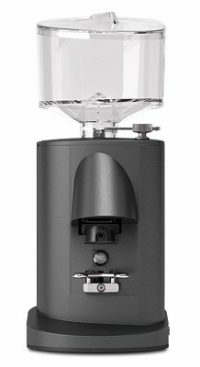 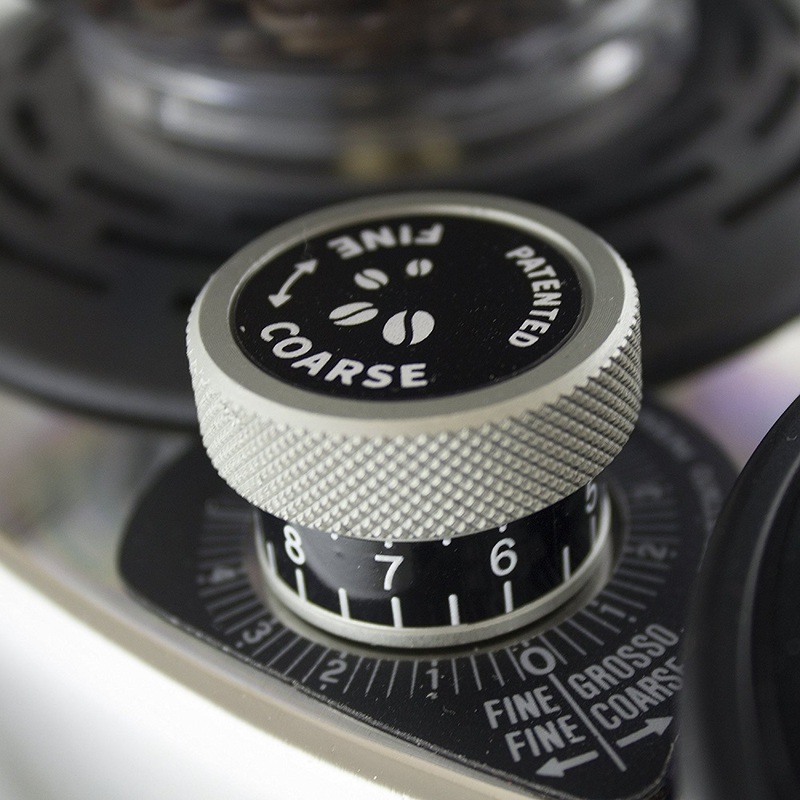 Its doser-less design allows you to grind coffee directly into your portafilter, minimizing the amount of coffee grounds left over between shots. 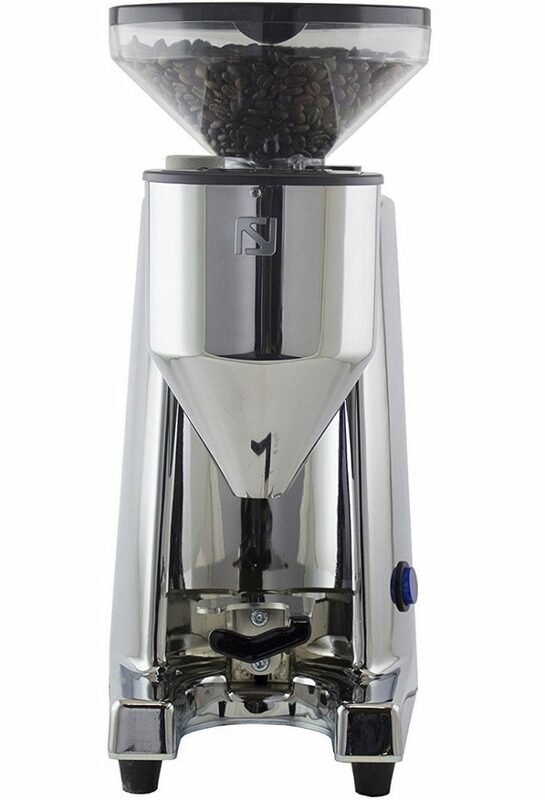 Though very compact (only 13″ tall) it is heavier than most, and features a powerful motor, large 50mm burrs, and a micrometric grind adjustment to dial in the perfect grind setting. 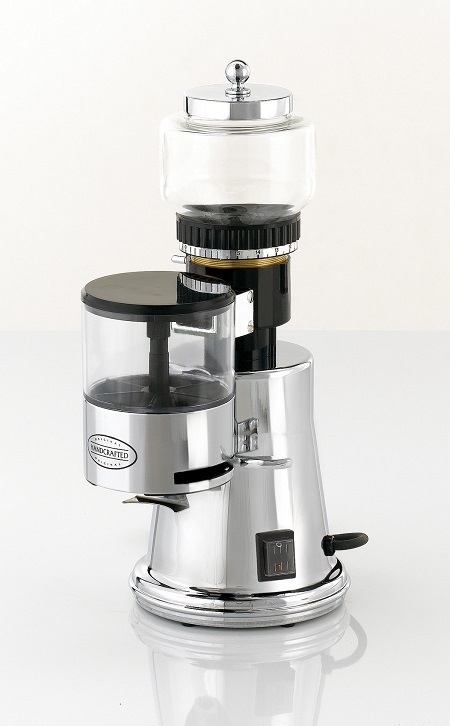 Grinta comes in a choice of 2 finishes. 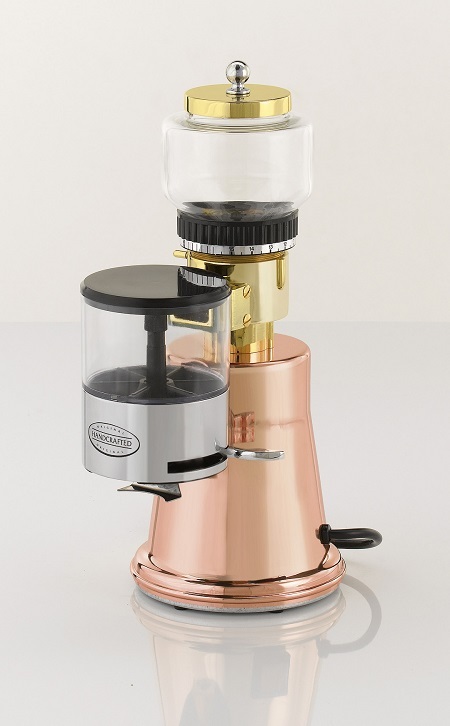 Its doser-less design allows you to grind coffee directly into your portafilter, minimizing the amount of coffee grounds left-over between shots. 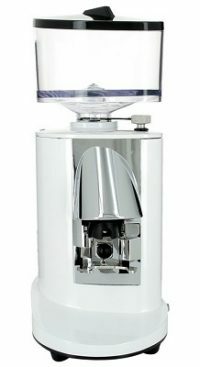 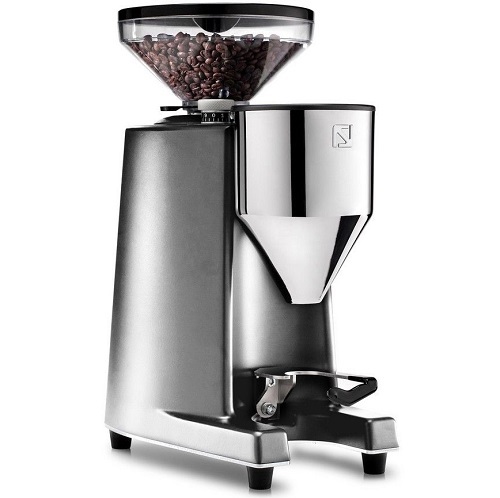 It also has a powerful motor, large 50mm burrs, a large range of step grind adjustments to dial in that perfect grind, and a large hopper. 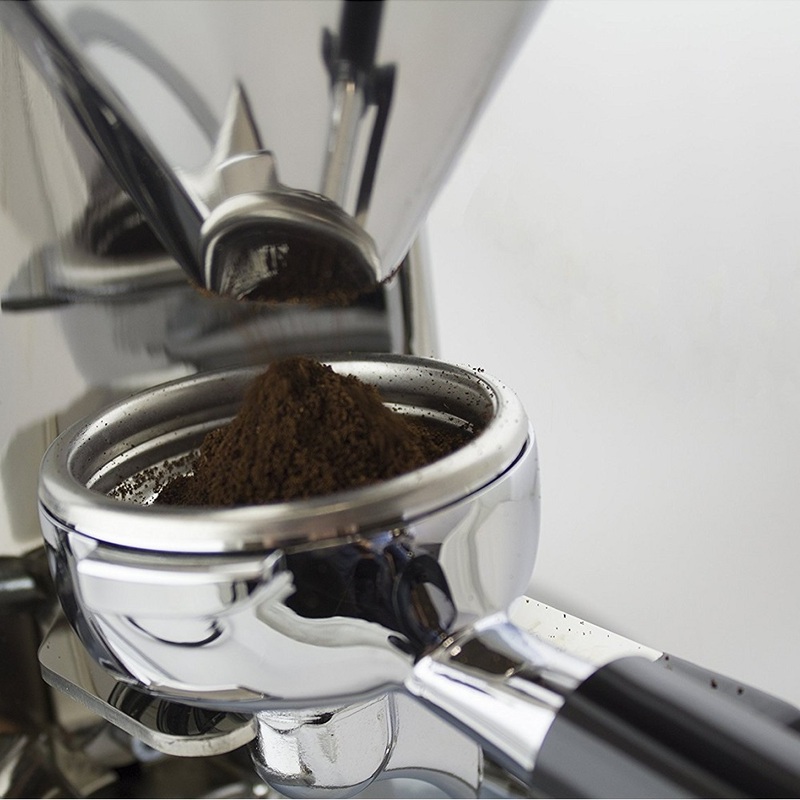 Elektra MicroCasa Grinders come in a choice of 2 polished metal finishes. 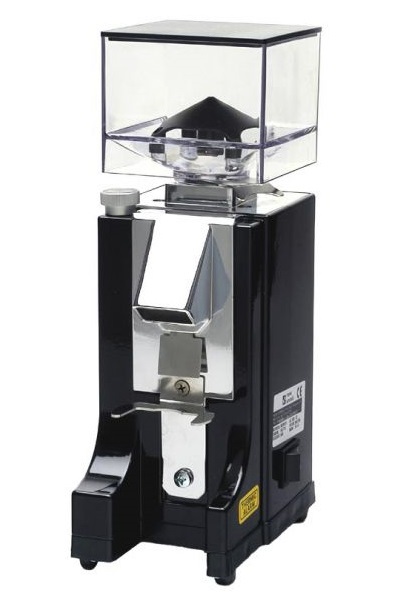 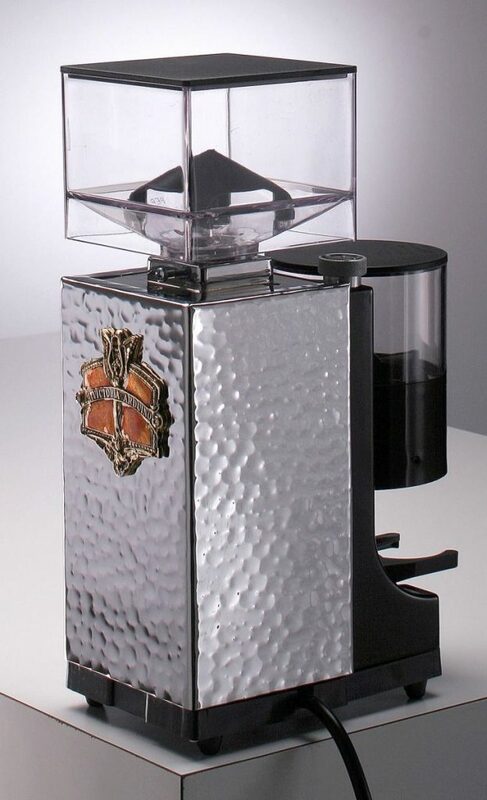 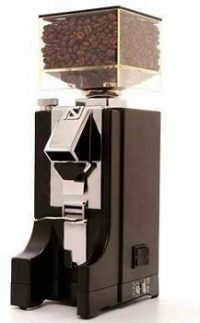 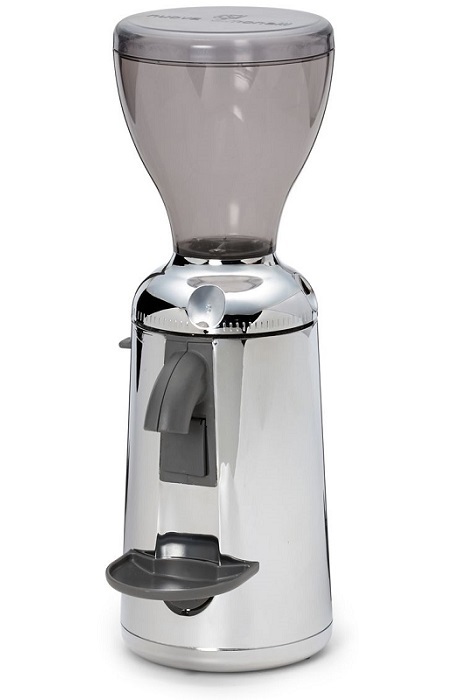 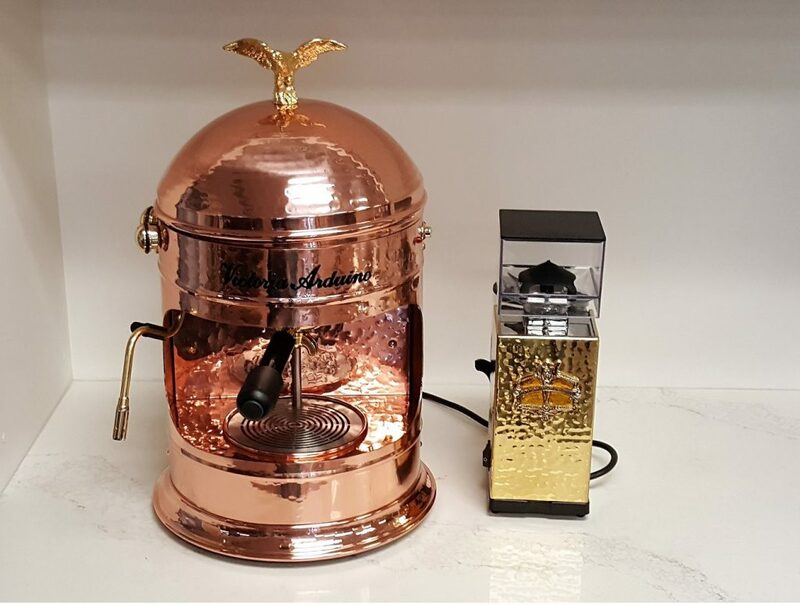 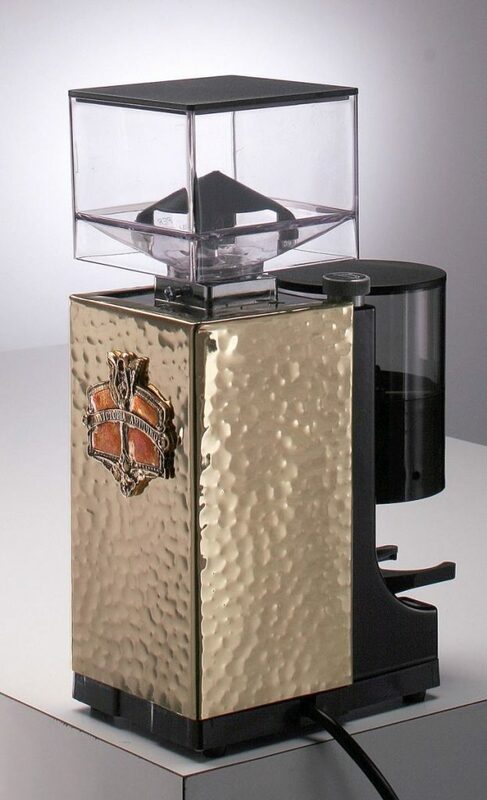 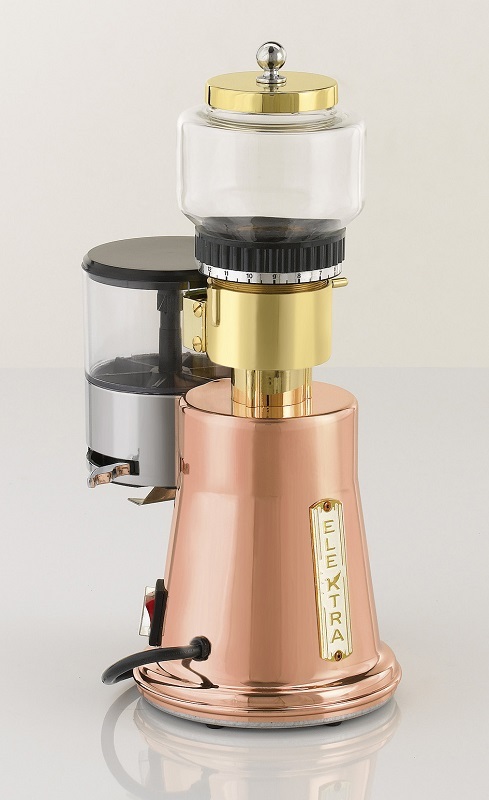 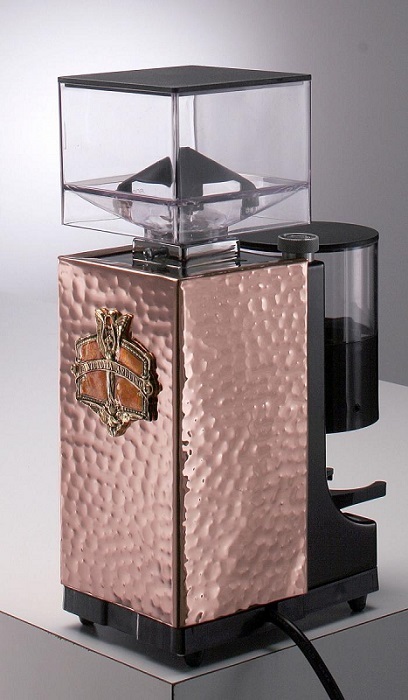 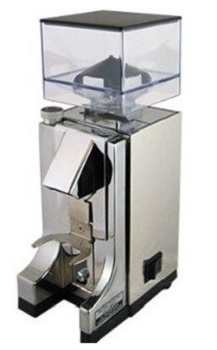 Designed as a companion grinder to either the SemiAutomatica or the Leva espresso machine, the MicroCasa Grinder features a powerful motor, large 50mm burrs, a commercial-style adjustable doser chamber, and a beautiful glass hopper with a solid chromed steel or brass lid.